Just hours after Jack Wilson was shipped to Seattle, Freddy Sanchez was traded to the Giants. In return, the Pirates received Tim Alderson, a right handed pitcher who was highly regarded within the Giants’ organization. Word is now that Grabow and Gorzo could be dealt to the Cubs. 1 more day til the trade deadline. This piece of news wasn’t too surprising. I’ll miss Jack Wilson at shortstop, but Management has made it pretty clear that season could be Wilson’s last with the Buccos. 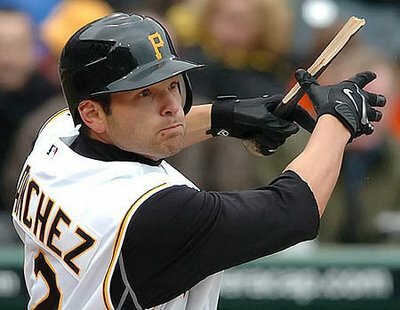 The Pirates also sent Ian Snell to Seattle, but they picked up 5 guys in what seems to be a Grand Slam deal for the Bucs. Here’s who’s coming to the Burgh. Shortstop Ronny Cedeno, hopefully can fill the hole at SS. Right-handed pitchers Aaron Pribanic, Brett Lorin and Nathan Adcock… all solid A pitchers. Rumors are now circulating that the Giants may be interested in Sanchez. 2 days until the trade deadline! 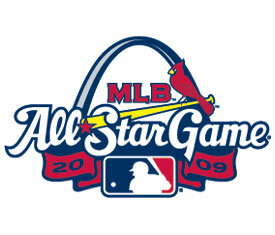 Tonight in St. Louis, the National League goes for their first All Star Game win since 1996. Freddy and Zach are reserves. The rest of the Buccos are taking a few needed days off. Who will represent the Bucs? My vote is for Freddy Sanchez, but John Russell has been campaigning hard for Zach Duke. We’ll know within the hour.